Iran’s Supreme National Security Council (SNSC) responded to the State Department’s designation of the Islamic Revolutionary Guards Corps (IRGC) as a foreign terrorist organization by designating the U.S. government as a state sponsor of terrorism and U.S. Central Command (CENTCOM) and all its forces as a terrorist organization. “It is evident that the regime of the United States of America holds full responsibility for the dangerous consequences of this adventurous action,” the SNSC statement concluded. The SNSC is the one formal body that brings most of Iran's top national security decision-makers together, including the IRGC commander. Iranian leaders individually denounced the IRGC designation. 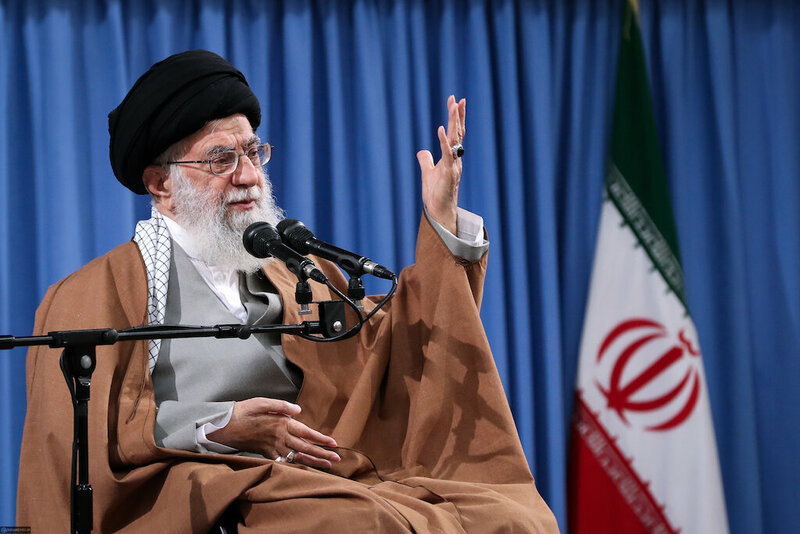 In an address to IRGC members, Supreme Leader Ayatollah Ali Khamenei said such plots by the United States won’t get them anywhere. 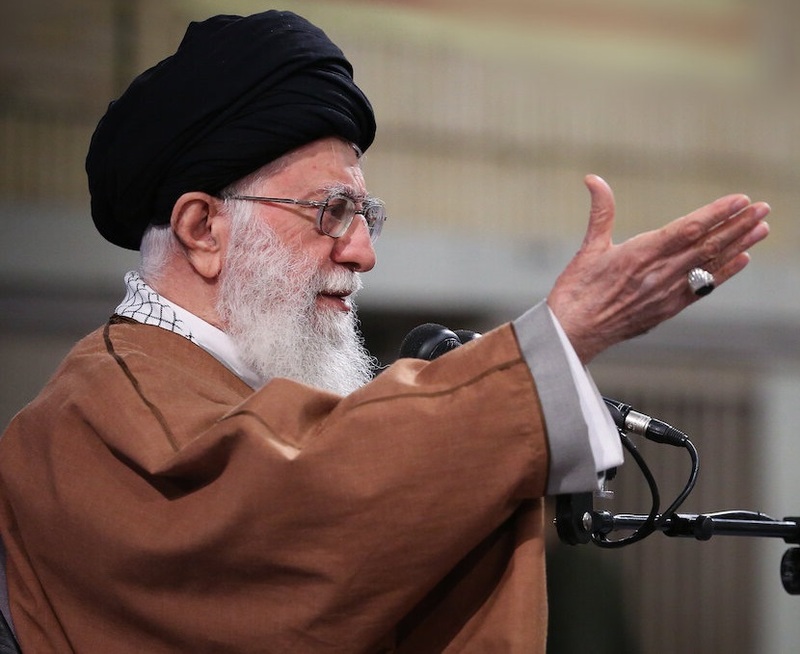 “Their vice and deceit will return boomerang on them, leading the enemies of the Islamic Republic such as Trump and those around him at the U.S. ruling apparatus to go down the drain,” he warned. President Hassan Rouhani threatened to restart Iran’s nuclear program in a speech marking the National Day of Nuclear Technology. “You were afraid of IR1 centrifuges, today we unveiled IR6, and if you continue to walk down this road, you will see IR8 in the near future,” he said. Centrifuges are used to enrich uranium and could be critical to producing a weapons-grade material to fuel a bomb, which is why the 2015 nuclear set limits on Iran’s centrifuge use, research and development. Rouhani also accused the United States of terrorism for the USS Vincennes’ shooting down of Iran Air Flight 655 in 1988, which killed 290 passengers and crew. The U.S. vessel mistakenly identified the airliner as a military craft. 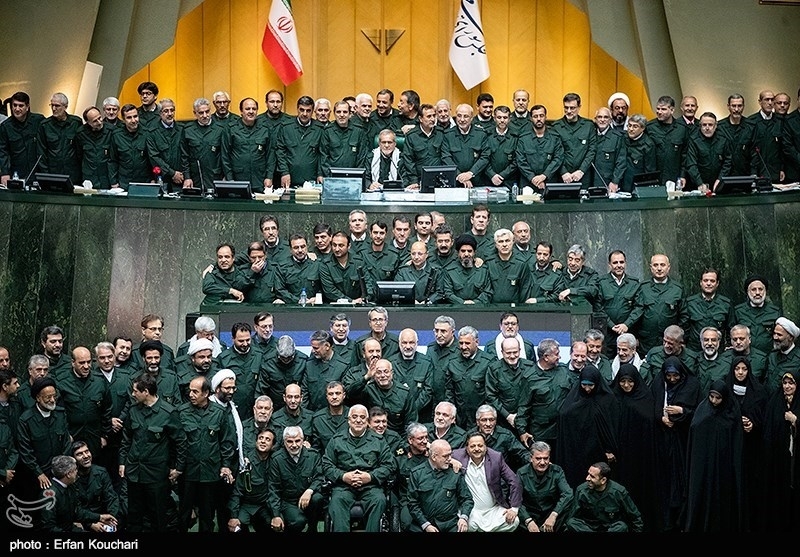 Members of Iran’s Parliament, including Speaker Ali Larijani, dressed in IRGC uniforms on April 9, and chanted “Death to America” and “Death to Israel” during their session. The Supreme National Security Council of the Islamic Republic of Iran, while registering severe condemnation of the illegal and dangerous action of the regime of the United States of America in placing the Islamic Revolutionary Guards Corps on the list of “Foreign Terrorist Organizations,” regards this baseless step as a major danger to regional and international peace and security and an obvious violation of international norms and the United Nations Charter. The Islamic Revolutionary Guards Corps, unlike America and its regional allies, which have always been supporters of extremist and terrorist groups in the region of West Asia, has continuously been on the front line against terrorism and extremism in the region, and the role of this self-sacrificing and revolutionary force against Al Qaeda, Daesh, Al Nusra and the rest of the terrorist groups in the region is always gratefully acknowledged by the affected people and governments. The Islamic Republic of Iran, in reciprocation against the illegal and irrational action that America declared today, regards the regime of the United States of America as a state sponsor of terrorism, and regards the American central command, named CENTCOM, and all of the forces dependent on it, as a terrorist group. This command has responsibility for the execution of the terrorist policies of the American government against the region of West Asia. The imposition of the United States’ hostile policies endangers the national security of the Islamic Republic of Iran and the lives of innocent Iranian and non-Iranian people. The barbaric and intentional attack on an Iranian passenger plane in 1988 and [U.S.] participation in the massacre of the people of Yemen and other civilians in West Asia can be given as examples. It is evident that the regime of the United States of America holds full responsibility for the dangerous consequences of this adventurous action. John Caves, a research assistant at the U.S. Institute of Peace, contributed to this roundup and translated the SNSC statement.